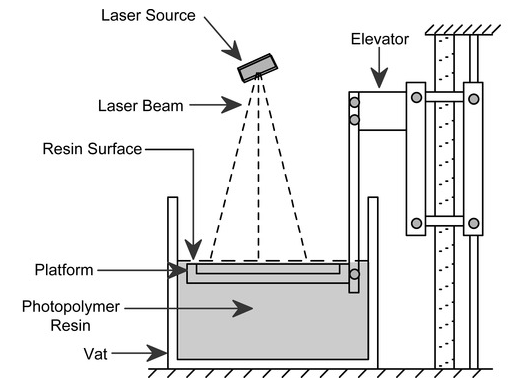 Stereolithography(SLA) is a form of 3-D printing technology used for manufacturing prototypes, patterns, and production parts in a layer by layer fashion using photopolymerization, a process by which light cause chains of molecules to links, forming polymers. These polymers then make up the body of a three-dimensional solid. 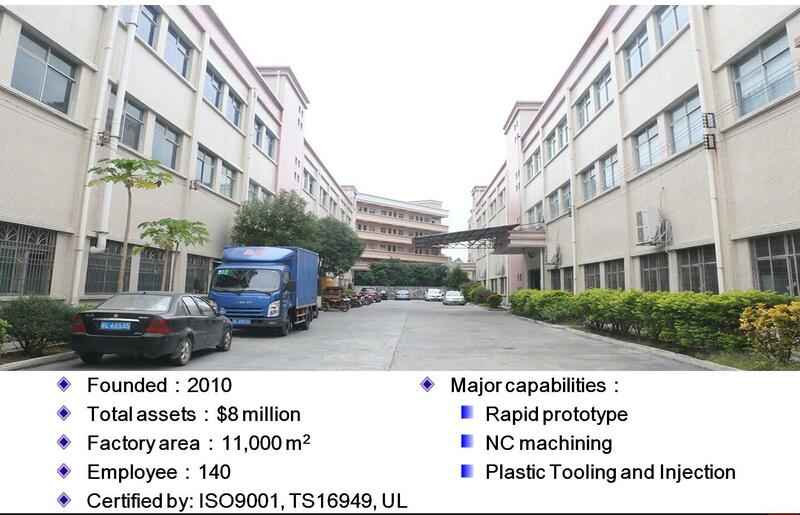 Due to its high precision in workpiece, SLA turned into the original commercial 3-D printing technology widely using in various fields such as manufacturing industry, automobile industry, medical industry, electronics etc. Time Saving – Prototype mold can be produced within days following receipt of final 3-D CAD data eliminating the delays associated with tooling and more traditional mold making methods. Cost Saving – Identifying product design issues during the manufacturing process can prove costly, the use of SLA mold allows for early design verification thus minimizing the risk of such errors. Tight Tolerance – Thanks to high resolution SLA machines, it is possible to achieve tight tolerance of as little as +/- 0.005″ can be achieved. The SLA process can make extremely accurate and highly complex components with ease. Functional Prototype – Developments in the range of materials available for the SLA process have resulted in tougher more functional parts. Prototype mold produced using the SLA process are now testing tolerant. Design faster – In addition to speeding up the design process, SLA requires a limited number of secondary operational steps thanks to the high quality surface finish produced. This allows low volume production pieces reach the market before the competition. In JasonMould, we provide vacuum casting, SLA, SLS and CNC Machining. Materials could be plastics and metals, such as ABS, PMMA, PC, aluminum, stainless steel, magnesium alloy and brass etc. Our price for SLS & SLA would be comparatively lower for some small parts. For very huge SLS & SLA parts, we would suggest customers turn to European companies. Typically our pricing would be only about 40-60% of the West and with quick delivery time. Usually the delivery time for several parts by SLA would be 7 to 10 days, including 3 or 4 days by air shipping. That is why many of our customers would like to come to us for rapid prototyping. Lower price but the same quality as the West. We also provide low-volume production up to hundreds or thousands of units. Learn more about prototyping below or if you have such kind of projects, please send your 3-D CAD file to our professional team of experts to get a free quote.